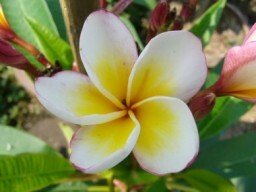 Plumeria, Frangipani, Temple Tree, Pagoda Tree - Bright, beautiful fragrant flowers in various color combinations. 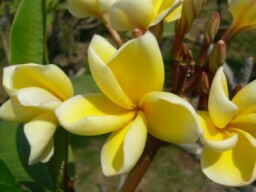 Plumeria trees are also known as Temple Trees because they are usually planted in front of temples in Asia, for their fragrant flowers. 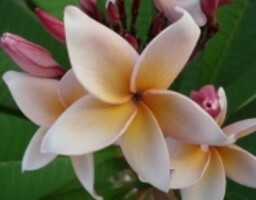 The flowers are most popular in Hawaii, used to make flower necklaces (leis). 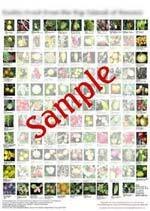 Thick, succulent leaves can grow to 10-inches long or more. 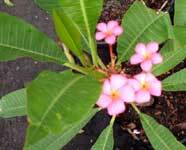 Dwarf Plumeria, Dwarf Frangipani - This rare cultivar 'Dwarf Pink Singapore' starts to flower at 1-foot high! 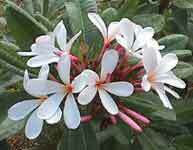 Vey neat plant for those with limited space , or those who prefer a light weight Plumeria plant for easy-handling and winter-storage. 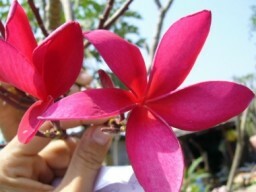 Fragrant, light-pink flowers with orange center. 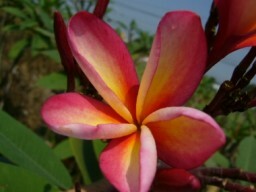 Cuttings for Collector's Plumeria : These offers more flower colors and interesting shapes. They are available only in May. Please send your orders before April for May delivery. 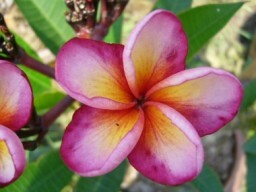 Cuttings for Fancy Plumeria : These offer even more interesting flower colors and shapes. They are available only in May. Please send your orders before April for May delivery.